Spring into the season with a delicious and refreshing parfait made with Naturally Friendly’s® Vanilla ice cream! Wash and cut all fruit. 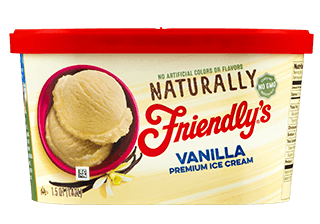 Place two scoops of Naturally Friendly’s® Vanilla ice cream into a glass. Cover the ice cream with fruit. Add an additional scoop of Naturally Friendly’s® Vanilla ice cream and top with fruit. Finally, pour honey over the ice cream and fruit.